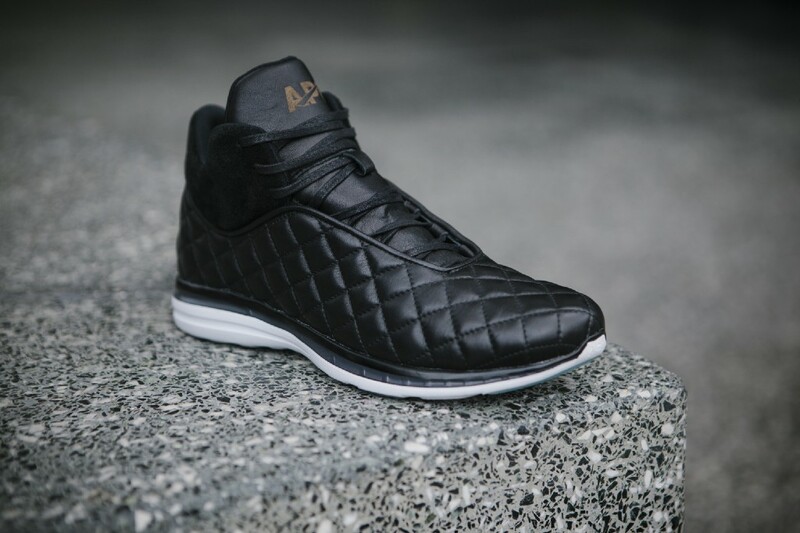 It’s been six years since Athletic Propulsion Labs’ (APL) basketball shoes were banned by the NBA, but as APL founders Adam and Ryan Goldston tell their story, it still sounds like a sneakerhead fairy tale come true. Like most fairy tales, their story begins with a king. The Goldstons’ father Mark is a footwear industry legend; he developed the Reebok Pump (the first shoe to have an internal inflation mechanism) and oversaw L.A. Gear when the upstart brand went toe-to-toe with Nike and Adidas in the late ‘80s and early ‘90s. Under Goldston’s vision, L.A. Gear established sneakers as fashion statements that looked fly while boasting performance-enhancing technology endorsed by Joe Montana, Wayne Gretzky and the other MJ (Michael Jackson). L.A. Gear’s Catapult and Regulator were big sellers, but the L.A Gear Lights made the brand a household name. In case you don’t remember—or just tried to forget—here’s a little Sneakerhead 101. In the early ‘90s, there were two things that you had to have if you wanted to be the man in middle school. You had to own a copy of Super Mario Kart and you had to be rocking the L.A. Gear Lights. If you were lucky enough to sport a pair, you can thank Mark’s twin sons, Adam and Ryan, who were in their Osh-Koshes at the time. “I still remember the day our dad brought them home,” recalls Adam, sitting across from Ryan in APL headquarters at LA Center Studios. 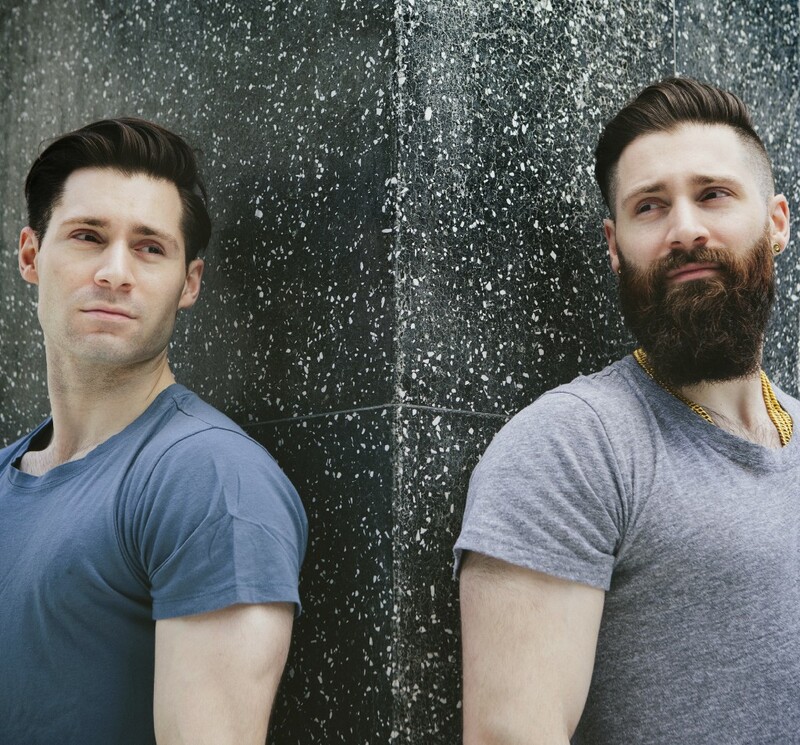 The twins are mirror images, not just in their fitness-model looks (save for Adam’s Game of Thrones beard) but also in their outgoing personalities and their business philosophies (they both say “no logos is our logo”). As kids, the Goldstons were their dad’s go-to product testers, ducking into a darkened bathroom of their family’s Los Angeles home to test out the sample sneakers. “We could see the lights on each other’s shoes,” says Ryan, “but not on our own because originally the lights were on the back of the shoe.” They loved them, but had one suggestion: Move the lights to the shoe’s sides. Their dad passed the idea along to his designers, and a couple of months later, the Goldston boys were watching their friends run around the playground in their dad’s sneakers with the lights on the side of the shoe, just like they had suggested. L.A. Gear sold millions of pairs of the shoes, but the lesson the twins learned was far more valuable. “To see our ideas brought to life resonated with us in real way,” Ryan says, adding that the L.A. Gear Lights were eventually banned at their school for being a distraction—a sign of things to come. The boys grew up to walk on to USC’s basketball team in the mid-2000s despite not breaking 6 feet tall. “We could dunk, but when you’re playing against guys that are 6-foot-9, 7 feet, you’re always thinking of ways to take your game to the next level,” admits Adam. “We did every vertical leap exercise you could do to jump higher, and it worked.” These white boys could jump, but the endless drills were wearing down their outlook and bodies, leading to self-doubt and injuries. Putting their professional athlete dreams to bed, the brothers went back to their other childhood obsession — sneakers — and began laying the groundwork for APL as part of Ryan’s coursework at USC’s Marshall School of Business. 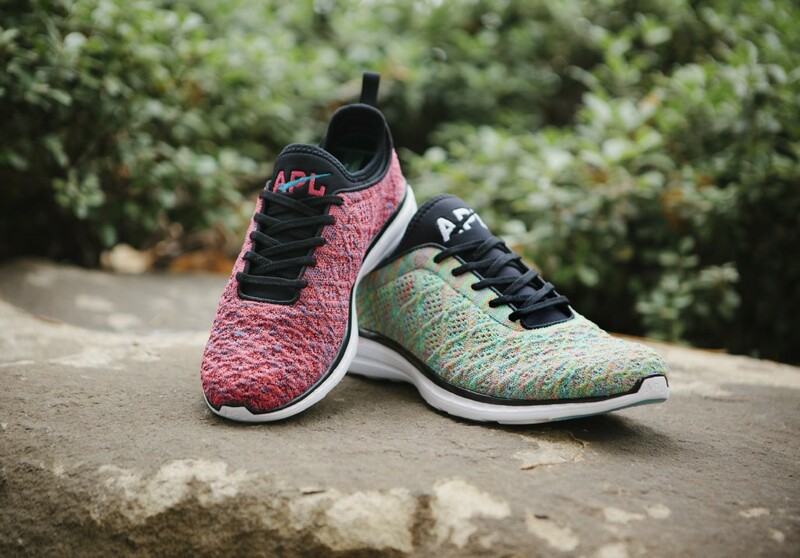 “Our APL business plan was that we would make shoes that instantly made you jump higher, were going to sell exclusively through our website and would cost $300,” recalls Ryan of APL’s first mission statement. His professors predicted the business would be a failure. They knew that it would all depend on their now-infamous “Load ‘N Launch” technology, featuring spring-loaded engineering that propels the foot forward. They had worked on it with the help of their dad’s old footwear industry pros, but still had doubts. “Before you go out on a limb you have to believe in it yourself,” Adam says. It was their childhood home that provided another “aha” moment. Their family kitchen had high ceilings with four step rungs. “The first three are littered with handprints. One of the ways we measured how high we could jump was by hitting these rungs.” The fourth rung remained untouched. They ran an ad in SLAM magazine touting their “Load ‘N Launch” spring technology, which promised to increase the wearer’s vertical leap by three inches. The NBA offices got wind of the startup shoe brand and informed the Goldstons that their Concept One sneakers would have to be league-approved before players could wear them in games. Months passed, and word trickled out of the league office that then-commissioner David Stern was going to ban APL’s basketball shoes. Instead of panicking, the Goldstons sensed opportunity, sending out a press release with the help of a USC professor. They had a feeling that the story would be big, even changing the banner on their website to read “BANNED BY THE NBA.” Less than 10 minutes after the press release went out, it blew up on a global scale. “It was the second-, third- and 17th-most-searched story on Google, and was the number-one story of the day, outranking a President Obama speech,” Adam says. Their website crashed, but they still sold nine months’ worth of inventory in three days. The memory still makes both brothers smile. These days, APLs appear on the feet of A-list celebs like Kim Kardashian and Michael B. Jordan; on the runways of shows at New York Fashion Week; and on the basketball courts of pro games in Asia and Europe. A recent partnership with Renault Formula One has brought the brand into the world of F-1 racing, long a source of inspiration for the Goldstons’ futuristic designs. The company has also branched out into running shoes and an apparel line. For the twins, all of this is just the beginning. You could say it’s in their soles. Patrick Green is an L.A.-based journalist and screenwriter.